In the Roman Legions, standards were very important. Every century, cohort, and legion had a standard. These symbols represented their units, acted as a symbol of unity and pride, and served as a rallying point during battle (McManus). During the Roman Empire, there were many different kinds of signifers: aquilifers that bore the legion’s eagle, imaginifers that carried an image of the emperor, vexillifers who bore a banner with the legion’s name and symbol, and signifers that carried a signum, a tall pole with an open hand, the symbol of the legionaries’ oath of loyalty (Wikipedia contributors). All signifers wore animal-skin headpieces in order to be distinguished from the normal soldiers (McManus). Signifers had rather dangerous jobs in battle, but had relatively good jobs in day-to-day life. On the front lines in battle, a signifer could only carry a buckler (small shield) and did not have a weapon to protect himself. Polybius, when describing who is selected for the position of signifer, described them as “the bravest and most vigorous among the soldiers” (Polybius, History, Book 6). Although they would have to also be literate and good with numbers in order to act as bankers for the many members of the legion. Outside of battle, signifers were in charge of the legionaries’ pensions, meaning they had clerk-type work that would be done indoors. Matyszak suggests that putting the pension in the hands of the standard-bearer was beneficial because the legionaries would fight all the harder to protect him during battle (80). Signifers were counted as officers, so they received twice the pay of a normal legionary (Breeze), which is not surprising, given the importance of all their duties. Breeze, David J. “Pay Grades and Ranks below the Centurionate.” The Journal of Roman Studies 61 (1971):130-135. Print. Matyszak, Philip. Legionary: The Roman Soldier’s (Unofficial) Manual. London: Thames & Hudson, 2009. Print. McManus, Barbara F. “The Roman Army in the Late Republic and Early Empire.” VRoma. The VRoma Project, June 1999. Web. 28 Feb. 2012. Polybius. History: Book 6. Trans. Oliver J. Thatcher. Constitution.org. Constitution Society, 1999. Web. 28 Feb. 2012. Rockwell, Peter. 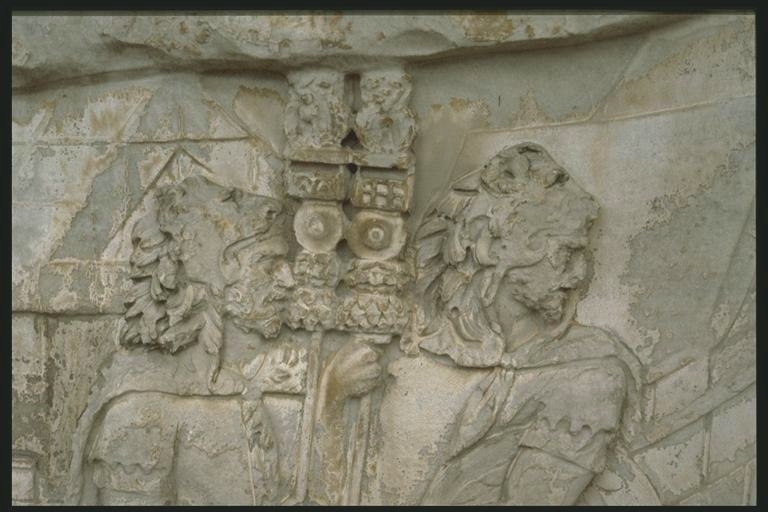 Photo of Roman standard-bearers on Trajan’s Column. n.d. The Stoa Consortium. Web. 28 Feb. 2012. Wikipedia contributors. “Signifer.” Wikipedia, The Free Encyclopedia. Wikipedia, The Free Encyclopedia, 5 Dec. 2011. Web. 28 Feb. 2012.